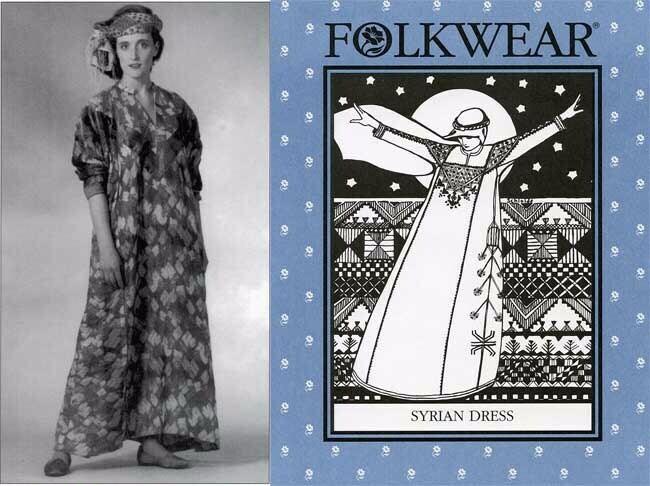 Typical of Syrian dresses, this ample garment falls gracefully to the ankles from a large square yoke that forms a triangular effect on the front, back, and sleeves. Tapered, cuffed sleeves, side panels, underarm gussets, slit pocket, and a narrow stand-up collar finish this lovely and practical dress. Two optional embroidery designs are given, both closely based on authentic sources, and can be done by hand or machine. 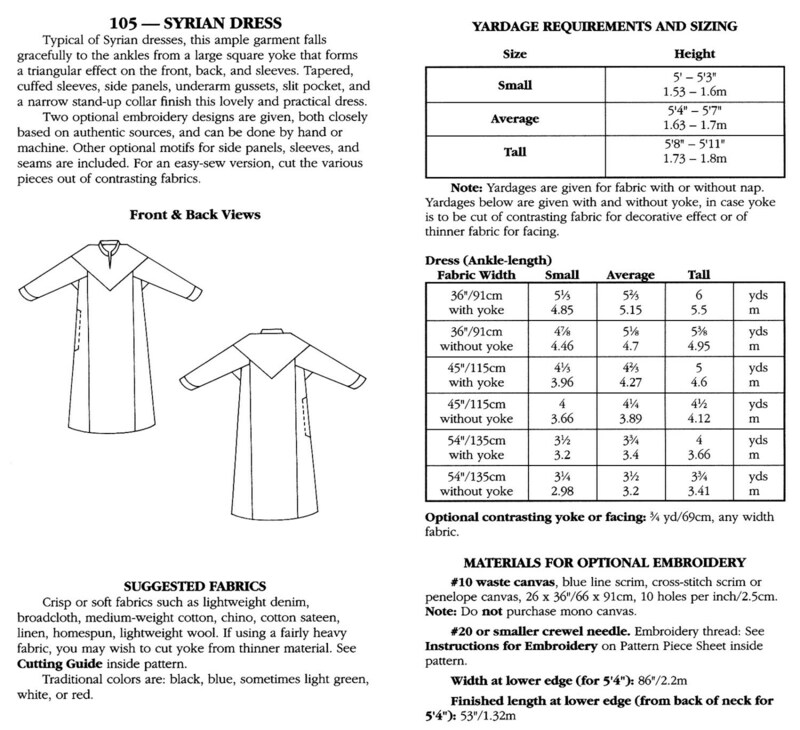 Other optional motifs for side panels, sleeves, and seams are included. For an easy-sew version, cut the various pieces out of contrasting fabrics.